Do-it-yourself culture is alive and well in Waterloo. 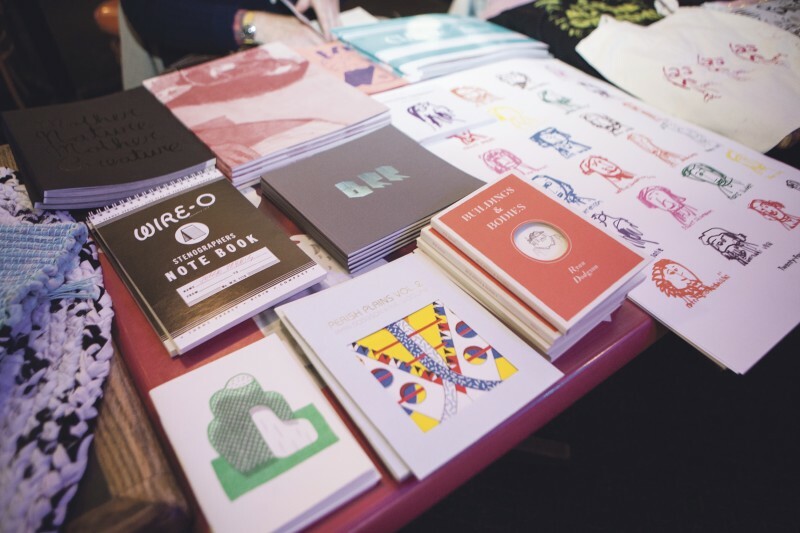 From local artists selling their work to an in-house created community zine, DIYDAY showcased the diverse artists and writers that called Kitchener-Waterloo home. Taking place at Chainsaw on Nov. 1, this was the second year for the mixed-media event. Marc Lecompte, owner of Princess Café and Cheeses Murphy, orgazined the event. For him, the day was a chance for the community to engage with artists and writers. Lecompte said around 26 artists were in attendance at the event on Saturday. Wandering around the various tables set up in the infamous Waterloo karaoke bar, visitors for the event could observe and purchase the work of local artists such as Jon “Bearface” Johnson, Ellie Anglin, Branko Vranic, Weird Canada, Perish Publishing and Roan Bateman, to name a few. He said the response from the artists and attendees was positive. DIYDAY also played host to experimental band Absolutely Free’s album release party. “[We’ve been] close friends since 2002 — [we’re] both from Richmond Hill. When [Lecompte] was doing DIYDAY, he thought he would ask one of his friends’ bands,” said band member Matt King. Coming off the release of their debut album in October, the band’s performance in Waterloo was their last before hitting the road for an extensive tour across the United States with Alvvays. King was believed the “ethos” of the DIY culture was represented strongly at the event. “As far as the importance of supporting things, there are things happening in Waterloo and creating a community of alternative mindsets worth checking out,” said King. Lecompte said hosting DIYDAY again was based largely on feedback from people last year. It is this mindset that Lecompte has when thinking about the event going into future years.